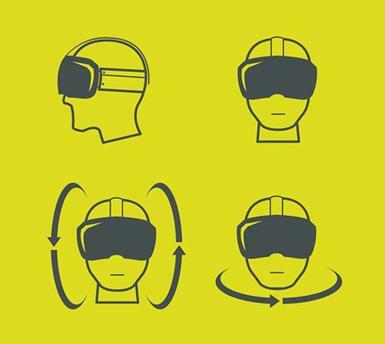 Do you know your VR from your AR from MR? Here’s a brief outline and a glimpse into the future of reality? VR and AR: peas from the same pod? Let’s go back to Virtual Reality (VR) and its potentially sexier cousin, Augmented Reality (AR). What are they and how are they different? “Virtual reality is about to hit the mass market, and it’s not an exaggeration to say that the next six months are of existential importance for the field”, Guardian Technology, October 2016. In Virtual Reality, everything that the user sees, hears and feels is computer-generated – it is a fully immersive experience; it creates the illusion that we are somewhere that we are not. The term was popularised by Jaron Lanier, the founder of the visual programming lab (VPL) in 1987. Indeed, the film Lawnmower Man (1992) was based on Lanier. “VR is a fully immersive experience that transports you out of your living room or office, or wherever you are consuming the content, into a computer-generated world that you can interact with and navigate through”, Advertising Age. VR has been described not as something you do, but as a place you visit. Gaming has grasped the VR nettle with both hands and is forging its way into more mainstream use. Augmented Reality adds to a user’s view of the real world with computer-generated information. “Augmented reality (AR) is a live direct or indirect view of a physical, real-world environment whose elements are augmented (or supplemented) by computer-generated sensory input such as sound, video, graphics or GPS data. As a result, the technology functions by enhancing one’s current perception of reality. This is in contrast to virtual reality which replaces the real world with a simulated one”, Onalytica. The uses of AR go beyond the purely digital with print marketing campaigns effectively utilising AR to add interactivity to previously-thought flat, and non-immersive channels. AR enables virtual objects to appear as though they are in the real world. The IKEA catalogue utilises interactivity so that shoppers can see what items will look like in their own home before they commit to a purchase. However, the most contemporary, and well known, use of AR is Pokemon Go. With VR, users can stay in their own world – their bedroom, their office – and a new world comes to them. But with Pokemon Go, players have to travel to, and visit, new places rather than simply staring at a screen and the environment changing around them. "In a VR situation, you’re isolating yourself from everyone around you and entering this completely virtual space. AR is designed to add, enhance the things you do as a human being: Being outside, socializing with other people, shopping, playing, having fun. AR can make all those things better", Niantic CEO John Hanke. So, everyone is doing it now, right? Wrong! Even with these technologies now available to organisations, and the required devices getting more affordable through products such as Oculus Rift, Google Cardboard, Samsung Gear VR, Playstation VR and, HTC Vive, large organisations are still slow to adopt and use isn’t widely standard, whereas customer expectations are increasing. “Companies that do not adapt (to millennial behaviour) risk obsolescence as this new generation becomes an economic powerhouse”, Joe Gagnon and Jason Dorsey, 2015 Survey of Millennials. The 2013 Higher Education Edition of the New Media Consortium Horizon Report, stated Wearable Technology as one of their six technologies to watch. “Wearable technology will increase in impact as enabling technologies, such as augmented reality and thin film displays, gain traction in the consumer market”, NMC Horizon Report: 2013 Higher Education Edition. By the 2016 report, not an awful lot had happened within the UK HE sector, with the ‘time to adoption horizon’ still being cited as two to three years. However, several adoption examples were cited covering the museum sector and the benefits of AR in the classroom towards students’ motivations and their academic achievements. “Both AR and VR offer compelling applications for higher education; these technologies are poised to impact learning by transporting students to any imaginable location across the known universe and transforming the delivery of knowledge and empowering students to engage in deep learning”, NMC Horizon Report: 2016 Higher Education Edition. So, there’s still a way to go. Virtual experiences are still added to University websites but these are no more than a series of (often very good, very well produced, and probably very expensive) 360s, images and video. Virtual Open Days can still be ‘attended’ but these are watched and one-way rather than engaging and immersive. This combination of 360 film and footage has been described as a '360 and virtual reality experience' by Sanna Wolff, project lead at Plan International Sweden. Plan have used this technique to highlight the plight of refugee children in Tanzania by creating an interactive story in which you explore the Nyarugusu Refugee Camp. For me, it is the addition of compelling and moving sounds that add to the drama and emotion of this story, layering the engagement of the senses. We are on an ‘online experience journey’ with these experiences evolving through 360 video, to VR and AR, and even user-generated content being used to supplement the shiny, expensive content created by organisations through (largely) one-off digital projects. Smartphones, affordable drones, GoPros and technologies such as Jump have made the creation of 360 images and video and amazing aerial footage more and more commonplace and institutions should harness this content and encourage their most engaged stakeholders to get involved, create and share this content to add the potential virtual experience available. But something else is on the horizon that could trump (sorry, bad timing!) the whole thing. Mixed Reality is coming and Graeme Devine, Chief Game Wized at Magic Leap, is leading the way. “Mixed Reality is the mixture of the real world and virtual worlds so that one understands each other. This creates experiences that cannot possibly happen anywhere else”, Graeme Devine, Chief Game Wizard, Magic Leap. Read more about the magic in the November 29th edition of Forbes. Institutions need to examine why they are yet to invest in these technologies and experiences and be aware that some will be. One-way publishing will no longer cut the mustard in a customer-centric, millennial world. The conversations need to be had and the potentials explored. Ask your students, ask your prospects - how do they prefer their realities? “Delivering an experience – rather than publishing content – is aspirational for institutions of higher education in the United States and the United Kingdom”, Digital Clarity Group.